Brain imaging is starting to play a role in understanding the strengths of people with dyslexia. 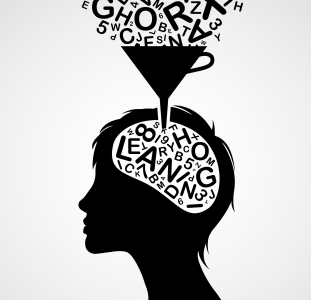 Dyslexia laws aren’t always leading to better outcomes for students. Policymakers are now taking dyslexia advocates seriously. These were just a few of the insights that came out of a unique panel discussion organized by Understood. The event, titled “Dyslexia Understood: Research, Instruction and Awareness,” took place on July 14 at the Newseum in Washington, DC. The panel featured experts in three areas of dyslexia: brain research, instruction and advocacy. Each expert spoke about recent progress in these fields—and the work that lies ahead. Guinevere Eden, a leading neuroscientist, shed light on cutting-edge brain science and the direction it’s going in. Researchers have started to use brain imaging, or fMRI scans, to look at the strengths of people with dyslexia. Eden also talked about how the field of dyslexia research is changing—for the better. Scientists with different types of training are coming together and bringing different tools to the table. The result is a more holistic understanding of dyslexia. But the panelists agreed that the knowledge we’ve gained about dyslexia hasn’t made it into every classroom. There’s still work to be done. Panelist Rachel Vitti, a mother whose gifted son has dyslexia, echoed that thought. A former teacher, she said she tried to help her students with dyslexia, but didn’t have the training. That’s why it’s so important to raise awareness about dyslexia in schools, added Vitti, who is an advocate for twice-exceptional students. In the past, parents and organizations have operated in silos. With the knowledge gained by research, she has seen a movement for change. At Understood, we’re always working to raise awareness about learning and attention issues. Catch up on what we’re doing and what others are saying about us. Welcome to Your NEW Understood Community! Next Post Why Are We Still Teaching Reading the Wrong Way?